It was mid afternoon in Djibouti, and I was asleep in my room. The doldrums – purgatory of the time in between when you’ve handed off responsibilities to your replacement and now await airlift home. Time I filled with books and writing. I awoke from the nap, startled, grabbed my keyboard, and wrote from my back with haste before full consciousness stole the inspiration. It wasn’t much, maybe 250 words that fell from my fingertips to the screen in less than five minutes. Hardly War and Peace. But when I finally took a breath and asked myself, what the hell was that, I already knew the answer. 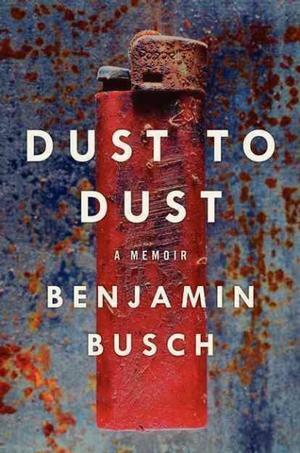 It was Dust to Dust, Ben Busch’s memoir of war and much more, that crept into the fabric of my subconscious and inspired. Books, good ones especially, can be like that. That sense of wonder, as if a veil has been lifted for you, page by page. Dust to Dust opened my eyes to what is possible in a war memoir, and explored the possibility that a memoir only of war is probably the most untruthful way to write about Iraq and Afghanistan. They were, after all, wars to which we went, and returned from, only to do it again and again and again until the lines between war and home blurred and were lost to us. The book’s cover doesn’t even chase the term “war memoir,” which is also an honest thing, since it’s a memoir in which war appears but doesn’t drive the narrative. It’s a much larger story whose narrative arc begins with childhood and moves forward and back with regard only for fragments of scene that match the theme. Speaking of which, Busch does something interesting with the overall structure of the memoir, something I hadn’t yet seen. Busch’s narrator evaluates his life through elemental lenses – things like water, dust, fire, etc. It’s a novel approach in a memoir, worth emulation. There’s a particular scene in the book, one in which Busch describes his mother’s last moments. It’s one of the heartbreaking and gorgeous scenes I’ve ever read. But what’s most remarkable about it is that the narrator doesn’t tell you how to feel. He makes you feel it through reflective detail in the scene. I don’t want to spoil the moment – you really do need to read it for yourself – but I will never look at rain on a windowpane the same way. It’s a technique employed over and over throughout the book, and a hallmark of a worthwhile literary memoir. The best authors know exactly how to construct a scene from memory in order to convey the emotion felt. It’s not about saying, “I was sad;” but rather, making the reader feel the sadness by magnifying the elements of what one remembers. Evocative detail – it’s something strong throughout Dust to Dust. And what about that essay, the one that I woke me with a sense of urgency inspired by what I was reading? Well, I’m happy to report that The Normal School, a journal in love with the essay, picked it up a few months ago. It should publish sometime next year. I guess I owe Ben a beer when we meet.